The Evenflo Evolve 3-In-1 child car seat (from left), the Britax B-Agile Stroller with Click & Go receiver and Baby Trend booster-style child car seat are among the models in recent child car seat recalls. There is no case more tragic and heartbreaking for me as a car crash lawyer than the ones that involve infants and children. I’ve seen first-hand as families are ripped apart by the loss. A child car seat can help, but sometimes the car seat itself can create a hidden but very serious danger for children. The U.S. Consumer Product Safety Commission and National Highway Traffic Safety Administration (NHTSA) have reported these recall notices for popular car seat models. Please check or forward this blog to someone you love to make sure the child car seat being used is not under a recent recall from its manufacturer. 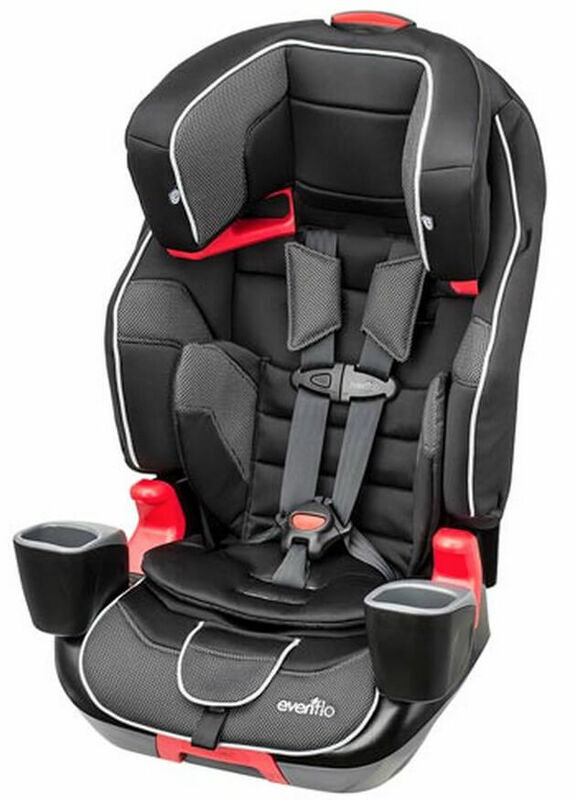 4moms, a subsidiary of Thorley Industries LLC, is recalling certain 4moms Self-Installing Rear-facing Infant Car Seats, model number 1032, manufactured July 1-Oct. 31, 2016. Because of a tight rivet, the affected car seats have a coupling hook that may not properly engage around the coupling pin, preventing the infant carrier portion from securely attaching to the seat base. If the infant carrier does not properly attach to the base, the carrier can detach in a crash, increasing the risk of injury. The recall began Jan. 10, 2017. 4moms will notify owners and will replace the infant carrier portion, free of charge. Owners may contact 4moms at 4moms.com/recalls or by calling (888) 614-6667. Owners also may contact the NHTSA Vehicle Safety Hotline at (888) 327-4236 or visit Safercar.gov. The affected child seats have a center adjuster rivet that may pull through or break if the harness is being used with a child weighing more than 40 pounds. In the event of a crash, the child seat occupant is at an increased risk of injury. The recall began Feb. 13, 2017. Baby Trend said it will notify owners and replace the child seat or provide a full refund. Owners may contact Baby Trend customer service at (800) 328-7363, or the NHTSA Vehicle Safety Hotline at (888) 327-4236 or Safercar.gov. Britax Child Safety Inc. is recalling all its Britax B-Agile and BOB Motion model strollers. 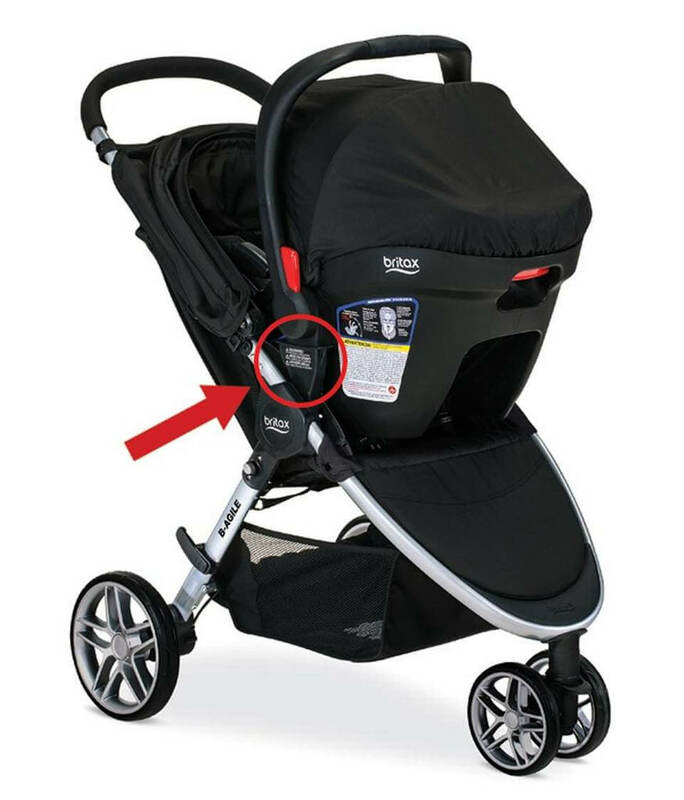 A damaged receiver mount on the stroller can cause the car seat to disengage and fall unexpectedly, posing a fall hazard to infants in the car seat. The recall began Feb. 16, 2017. 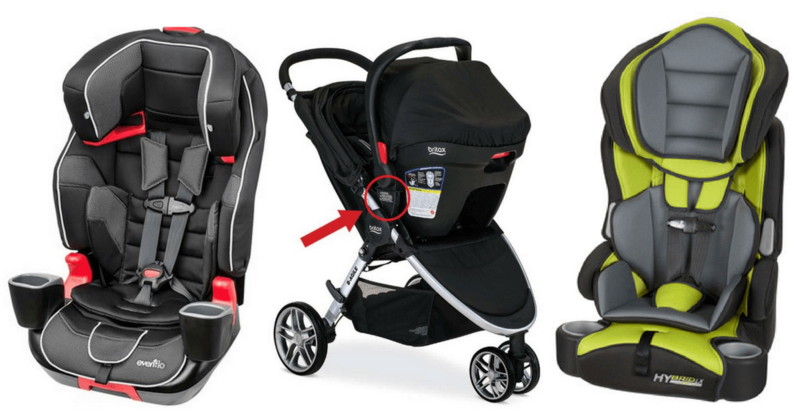 Owners of the recalled double strollers should immediately stop using their Click & Go receiver mounts and stop using the strollers with car seats attached. Owners can continue to use the stroller or car seat independently without the car seat attached to the stroller. Owners can contact Britax at us.britax.com/recall; by calling (844) 227-0300; or emailing mailto:[email protected]. 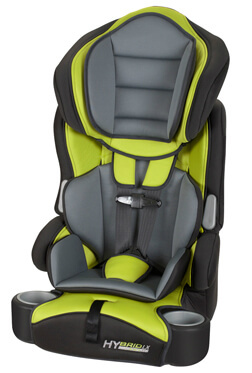 Evenflo Company Inc. is recalling certain Evolve 3-in-1 Combination Booster Seats, model number 34411700, manufactured Feb. 26, 2015, to Feb. 9, 2016; and model number 34411741 manufactured May 27, 2015, to Feb. 9, 2016. The affected seats have a button for adjusting the harness tightness. The child in the seat can access this button and loosen the harness without the caregiver’s knowledge. If the child can loosen the harness, he or she may not be properly secured in the event of a crash, increasing the risk of injury. The recall began Sept. 28, 2016. Evenflo said it will notify the registered owners and provide a remedy kit with a replacement harness adjustment button, free of charge. Owners may contact Evenflo at its recall site or (800) 233-5921. How can I find out about future child car seat recalls? There’s a simple step you can take that can save your child’s life when it comes to car seats. It’s to register for a recall list. It’s also best to have a certified child car seat inspector look and make sure the seat is installed properly. This Child Car Seat Inspection State Locator from Safercar.gov will tell you where you can contact an inspector. For more notices like this and to monitor your own car seat model, visit Safercar.gov.